EXTON, Pa., January 29, 2018 – Donald C. Lawson III, senior applications chemist with AGC Chemicals Americas Inc., will present on the latest developments on FEVE water-based resins for coatings applications at the 2018 Waterborne Symposium. He will discuss formulating with FEVE water-based resins to achieve superior durability in weathering, physical properties, chemical resistance and corrosion resistance. The presentation will address formulating guidelines when making both 2K water-based FEVE polyurethane coatings and 1K heat-cured factory applications. It will also explore the impact of NCO/OH index and catalyst presence on final properties, as well as the subsequent relationship of these properties to long term coating performance. In addition, AGC will feature LUMIFLON FEVE Resins for coatings at booth 206. AGC technology experts will be on hand to discuss the chemistry, performance and applications of these high-performance FEVE resins. LUMIFLON FEVE resins have been used in paints and coatings on building exteriors and facades for more than 30 years. Topcoats formulated with FEVE-based resins offer outstanding gloss and color retention and protect metal and concrete structures from corrosion. When used on buildings, bridges, aircraft, automobiles, water towers and solar panels, FEVE-based topcoats do not degrade from UV light, wind, or rain and can be formulated to last 30 years or more. 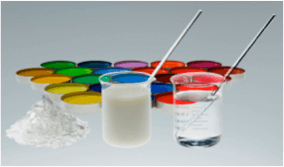 FEVE resins are available for almost any type of coating, including solvent-based, powder, environmentally friendly low-VOC and HAPs-free coatings, and water-based coatings. 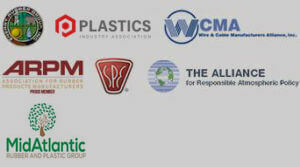 The Waterborne Symposium will be held February 4-9 at the Astor Crowne Plaza in New Orleans. Mr. Lawson will present on Thursday, February 8 at 11:30 a.m.